A classic example of the legendary quality of Overhead Door, these garage doors are available with classic raised panels, wainscot inspired design or contemporary long panels. Embossed wood-grain texture adds beauty, sophistication and durability at an affordable price. For premium construction and maximum thermal efficiency, a Thermacore® insulated steel garage door is the ideal choice. This series of doors feature our sandwich construction of steel-polyurethane-steel as well as between-section seals with thermal breaks to reduce air infiltration. 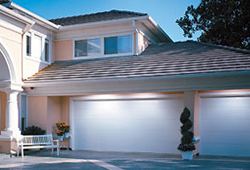 Durable garage doors that guard against wind and rain and add beauty, sophistication, and durability to your home. Up to lifetime limited warranty available. Insulated steel construction, fashioned to resemble the elegant wood designs of traditional carriage house doors. 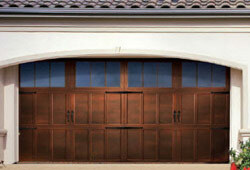 Courtyard Collection® Garage Doors offer the beauty of wood paired with the durability of steel. 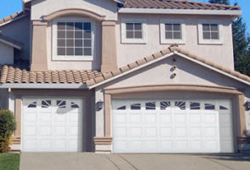 With a broad selection of windows and hardware options, these garage doors are energy efficient, and offer classic designs to enhance the architectural beauty of your home. Up to limited lifetime warranty for as long as you own your home. The Impression™ Collection features a fiberglass exterior that looks like real wood but without the maintenance. Create a unique look for your home by choosing the glass, design, and color for the perfect complement. 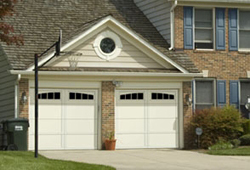 Transform the look of your home with a beautiful, Amish crafted wooden garage door. 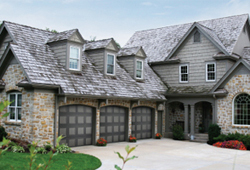 The Signature® Carriage Collection doors combine the classic swing-open appearance and detailing of carriage house wood doors with the convenience of standard sectional garage doors. 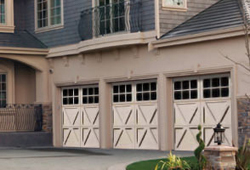 With a wide range of beautiful carriage house styles and constructed from the finest Cedar, Hemlock and Mahogany woods, these garage doors reflect handmand artistry built to stand the test of time. The Durafirm Collection™ features a vinyl skin, which minimizes maintenance, dents and rust. Durafirm Collection™ garage doors feature a rugged, thick vinyl skin and are an ideal escape from the maitenance associated with wooden doors and steel door dent and rust worries. Each garage door features a wood grain texture, for the timeless look of freshly painted hardwood. 15- year limited warranty. From the classic rail-and-stile garage door to the sleek flush panel, homeowners will be able to find just the right door to accentuate and complement their home’s unique style. 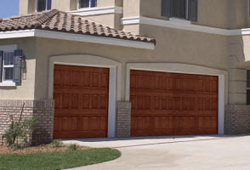 Constructed from the finest hardwoods, Traditional Panel garage doors are feature heavy-duty hardware for smooth operation and long-term durability. 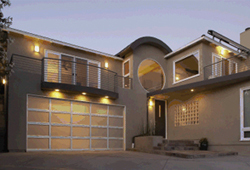 Sleek, sophisticated garage doors--a unique look for today's more contemporary-styled homes. Crisp lines and sleep design formed from durable corrosion-resistant aluminum and light-filtering glass make a striking complement to your home. 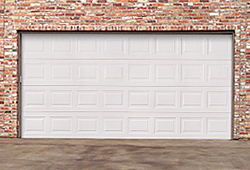 These modern garage doors feature stronger, lighter struts, while commercial-grade aluminum frames keep each garage door low-maintenance and corrosion resistant.